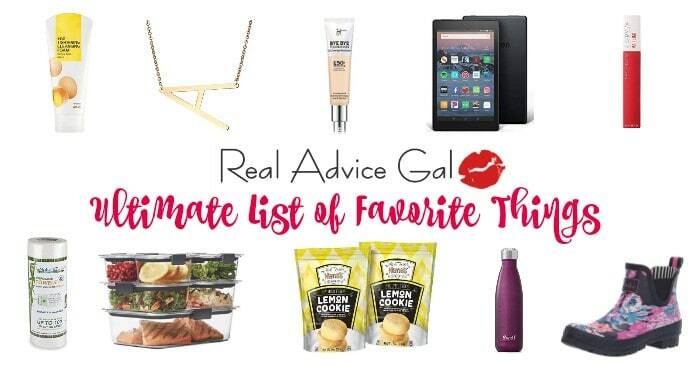 If you are looking for extra fun mix in your favorite cookies or top it with sprinkles or candy! 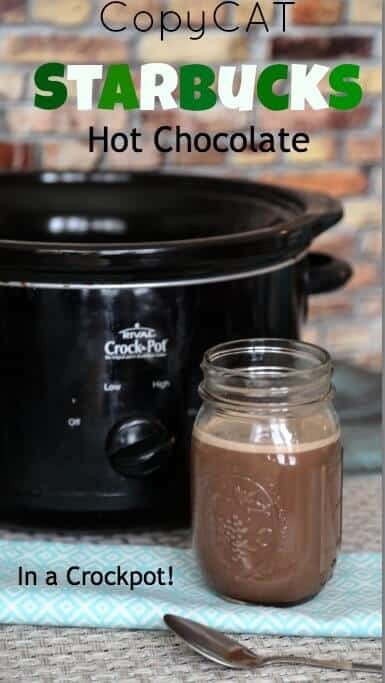 Thanks to Amee for sharing her recipe! 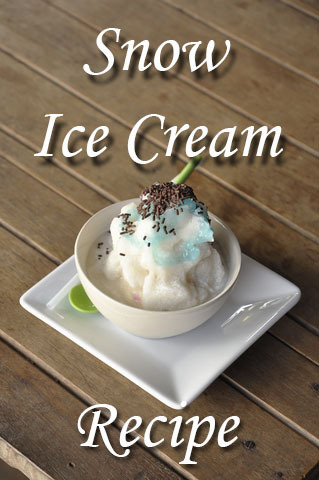 It was our first tasting of Snow Ice Cream Recipe and it is actually yummy! 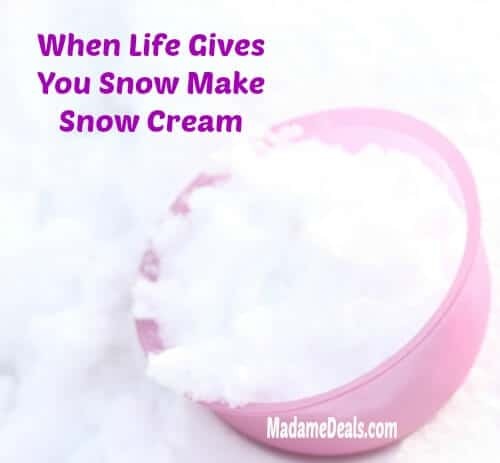 Tip #1: Make sure you get to the snow before the kids or animals start running around in it. Tip #2: If you know snow is coming, place a clean container outside to catch the snow. 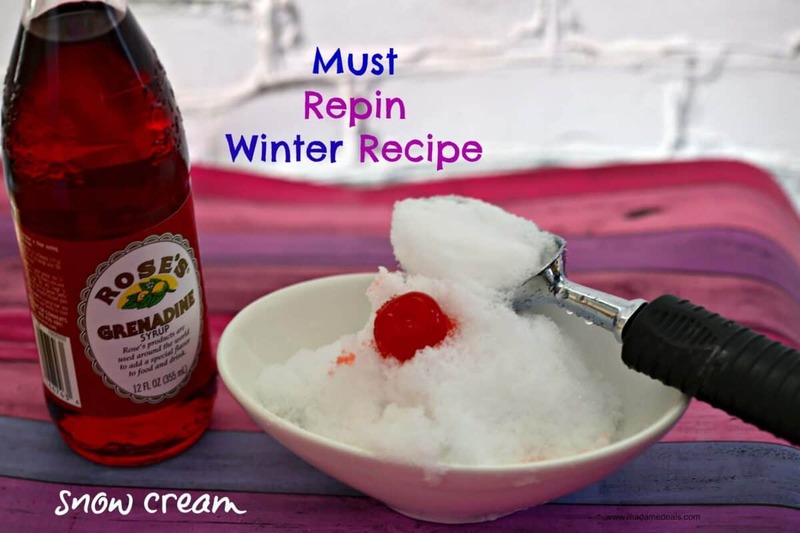 Tip #3 : Make sure you make it when you are going to eat it because this does not freeze like ice cream but instead turns to ice. Tip #4: Use the milk or half and half right from the fridge so there is less melting when you add it to the bowl of snow. Check out these other fun Winter Time Activities. Decorate the yard with Snow Paint! 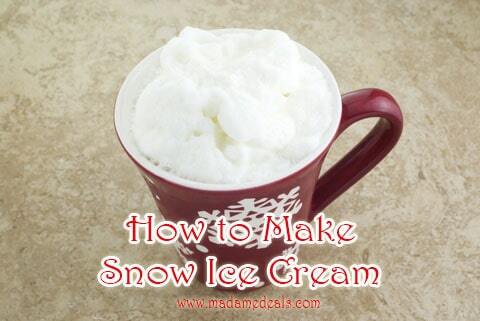 What are your tips for a perfect Snow Ice Cream Recipe?